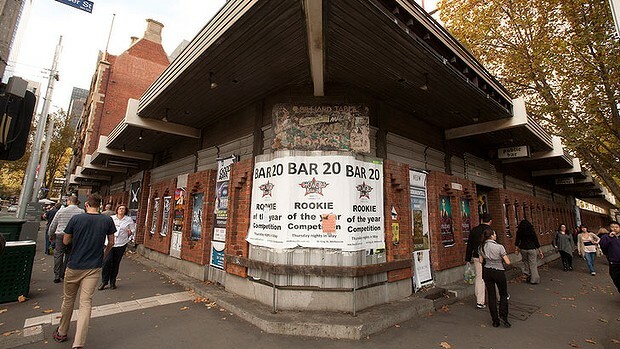 The Savoy Tavern, a once iconic pub opposite Spencer Street Station Southern Cross Station, is set to undergo renovations to bring it back to it’s original glory, no money-making high-rise apartment blocks included. Apparently. Some Age readers seem a little skeptical of Mark Rowthorn’s vow to refurbish the old tavern to look like it’s former self. And I don’t blame them. Good ol’ pubs aren’t really big business in the city nowadays; you want to be a hip nightclub attracting all the rich young’uns. A backpackers or mid-priced hotel does seem the logical option, given the proximity to Spencer Street Station Southern Cross Station. I definitely think the idea of a “nice” park is out – I mean, it’s a great idea for the homeless needing benches to sleep on, but I don’t think the middle/upper class is going to like that outcome. Probably also a good spot for dealers/buyers who come from different areas of Melbourne to meet up. But I digress. Do you think the building should be retained for historical value? We could go with the current trend of sticking a tall glass extension on top of it. Make it into student accommodation or a backpackers? Or do you think it would be viable again as a pub? I would love to think the latter. But in this age of (re)development I am doubtful. ~ by Kitten of Doom on May 10, 2013. I read that story with disbelief. One really wonders what Peter Rowsthorn’s brother is up to?